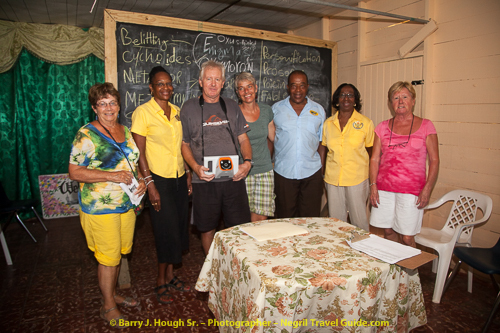 This Rotary Club of Negril Web Page in the Negril Travel Guide is dedicated to highlighting what Rotary Club of Negril is doing to preserve and enhance our community for the future of our children, residents and visitors. 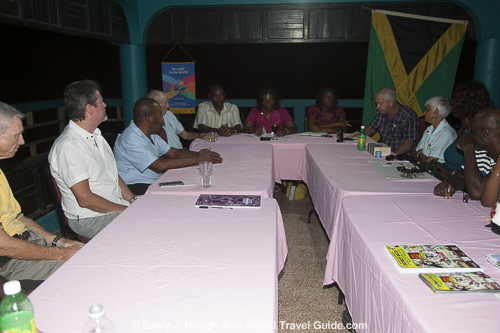 Rotary Club of Negril Meeting with Mark Connolly representative from UNICEF and Rotarian guests Dave Crooks and wife from Indiana USA at Negril Escape Resort and Spa, Thursday, January 7, 2016. See Better - Learn Better - A Project to Help School Children In Jamaica. The Rotary Club of Negril partnering with Mission of Sight and Cornerstone Jamaica provides glasses to children, Friday, January 8, 2016 at Sheffied All Age School. See Better - Learn Better - A Project to Help School Children In Jamaica. 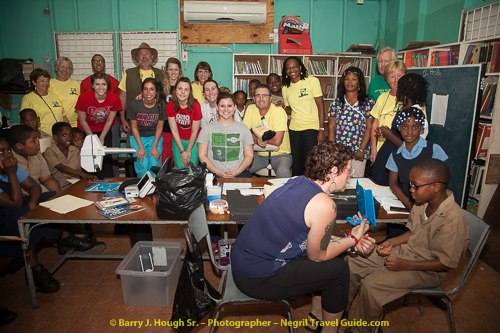 The Rotary Club of Negril partnering with Mission of Sight and Cornerstone Jamaica during a three day period [March 8 - 11, 2016] scanned 638 Negril All Age School children’s eyes and referred 254 children for eye examinations. See Better - Learn Better - A Project to Help School Children In Jamaica. 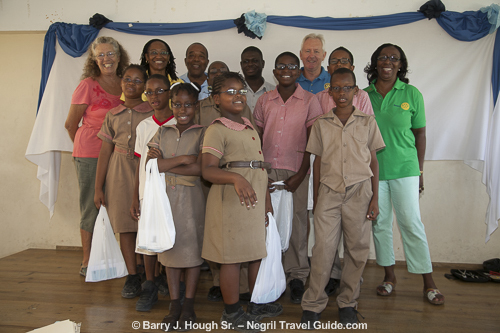 The Rotary Club of Negril partnering with Mission of Sight and Cornerstone Jamaica during a three day period [March 14 - 16, 2016] provided full vision and eye heath examinations for 170 Negril All Age School children. Eye classes were ordered for 140 children. 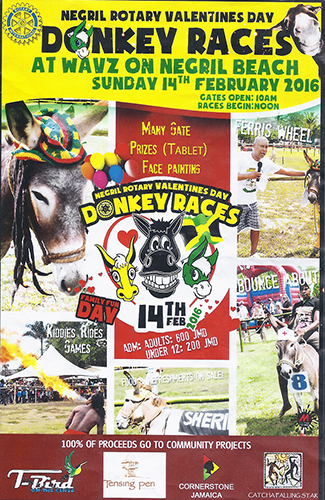 Negril Rotary Club Valentine's Day Donkey Races 2016 at WAVZ, Norman Manley Boulevard, Negril on Sunday, February 14, 2016. © Barry J. Hough Sr - BarryJHoughSr.com. All photos, videos, graphics, text, HTML forms or other contents published in NegrilTravelGuide.com are the sole property of Barry J. Hough Sr - BarryJHoughSr.com and may not be reproduced, copied or utilized in any form without written permission. All Rights Reserved.